On a photography assignment in the northern territory of Mount Marsabit, American adventuress Jade del Cameron and her friends hope to film the area's colossal elephants. Instead, they discover the mutilated remains of four elephants and a man. 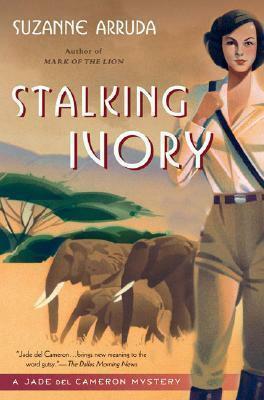 Although the authorities suspect Abyssinian poachers and raiders in search of ivory and slaves, Jade has her own suspicions. Could it have been Harry Hascombe, her nemesis and unremitting suitor? Soon the Kikuyu boy accompanying her is captured by slave traders. Ultimately, it will take all of Jade's mettle to rescue her guide from slave traders, protect the animals, and expose another kind of beast. Suzanne Arruda, a former zookeeper-turned-science teacher and freelance writer, is the author f several biographies for young adults. She has also published science and nature articles for adults and children and is a regular contributor to a weekly newspaper supplement. An avid hiker and outdoorswoman, she lives in Kansas with her husband, twin sons, and a small menagerie of pets.